UNITED NATIONS, Apr 23 2016 (IPS) - As countries came together at the United Nations this week to sign the Paris Climate Change Agreement, partnerships were forged between countries of the global South to support the implementation of the global treaty. On Thursday, the eve of the signing of the Paris agreement, UN member States, UN officials and civil society representatives met to discuss how South-South cooperation can help developing countries tackle climate change. “South-South cooperation is a manifestation of solidarity among peoples and countries in the south that contributes to their national well-being, national and productive self-reliance, and the attainment of the internationally agreed development goals,” said Thai Ambassador to the UN and Chair of the Group of 77 and China Virachai Plasai to participants. This partnership allows and promotes collaboration between developing nations on issues such as climate change, which has particularly catastrophic consequences for the countries of the global South, also known as developing countries. In Africa, where the majority of civilians rely on rain-fed agriculture, climate change threatens decreased precipitation, which would affect crop production and water access. According to the Intergovernmental Panel on Climate Change (IPCC), by 2020, crop yields from numerous African nations could be reduced by up to 50 percent, exacerbating food insecurity, malnutrition and poverty. By 2050, approximately 350 to 600 million people in Africa are projected to experience increased water stress due to climate change, IPCC found. City-dwellers are also increasingly vulnerable to climate impacts. Over 90 percent of all urban areas are coastal, putting populations from Accra to Manila at risk of rising sea levels and devastating storms. The impact of extreme weather events will also take a mounting toll on city communities as urbanszation and population increases at a rapid rate. In the Asia-Pacific, half of the region’s population currently lives in urban areas and the urban population is expected to increase to two-thirds by 2050. Already unable to provide basic services, cities are being pushed to its limits, leaving the poorest communities even more exposed to environmental shocks including floods and landslides. “It is the poorest half of the world’s population living in the Global South that face the most impacts of climate change, the harshest impacts of climate change,” said Executive Director of Oxfam International Winnie Byanyima to delegates. Developing countries therefore have much to offer one another and the world at large, participants agreed. Delegates highlighted that South-South and triangular cooperation, where developing nations collaborate with a developed country, will open up channels to share beneficial knowledge, experience and technologies. 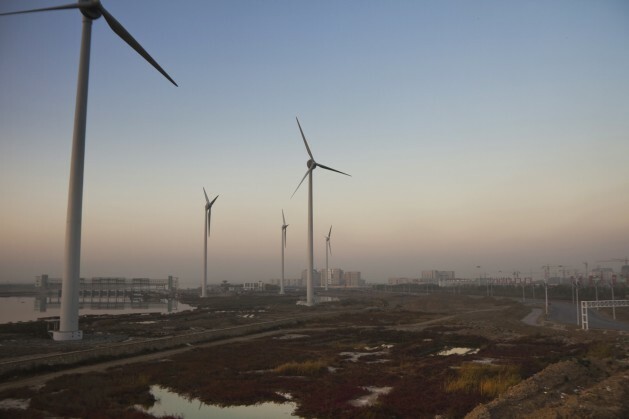 China, which is estimated to account for 32 percent of global emissions by 2020, has become the world’s largest investor in renewable energies including solar and wind energies. This has contributed to a decline in renewable energy costs, even dropping below the price of fossil fuels. Meanwhile, Brazil has successfully reduced deforestation by 70 percent, helping cut emissions. Though there is no one size fits all model, sharing success stories could help nations and communities localise global agendas. “Sharing knowledge and experience increases countries’ choices and can help them to more effectively adapt the Sustainable Development Goals and the Paris agreement to local contexts,” said UN Department of Economic and Social Affairs’ (DESA) Assistant Secretary-General Lenni Montiel. Such alliances can also contribute to the creation of new global norms and standards where developing nations are represented in global policymaking, Montiel added. One changing norm is the global aid architecture. In 2015, the Chinese Government provided over 3 billion dollars to a South-South Climate Cooperation Fund, helping fellow Global South nations to tackle climate change. However, South-South partnerships do not substitute North-South cooperation, delegates remarked. “No South-South initiative will replace the obligations that the Northern countries have,” said Envoy of the Secretary General on South-South Cooperation Jorge Chediek to IPS. To date, rich countries have pledged $100 billion per year to assist developing countries with the impacts of climate change by 2020. However, according to Carbon Brief, developing countries will need over $3.5 trillion to implement Paris agreement pledges by 2030. Current pledges also fail to limit warming below 2 degrees Celsius above pre-industrial levels as promised. But by committing to work together, developing nations can expand support structures and meet climate change targets, participants concluded. During the meeting, Chediek announced the launch of Southern Climate Partnership Incubator (SCPI). Implemented by the Executive Office of the Secretary-General (EOSG) and the United Nations Office for South-South Cooperation (UNOSSC), SCPI aims to encourage and expand South-South cooperation in the field of climate change. Among the key areas of focus is smart cities and renewable energy.